Image by justintosh@flickr and made available under this licence. I love going to the cinema. I also love sailing, and long walks in the countryside. I love sitting on a beach reading a good book in the sun. I also love my wife, my children, my parents, and my brother and sister. Love is one of those funny words in English. We say that we ‘love’ all kinds of things. The love that we might have for our family or friends is clearly different to the love that we might have for something like the cinema or the beach though! Love for a person is something that requires a conscious action. It’s not enough to just say that we love someone, we have to demonstrate this. The same is true for our love of God. It’s not enough just to say we love God. We have to demonstrate our love through our actions. In chapter 12 of Mark’s Gospel, Jesus deals with how we should love God. He tells a teacher of the law that the most important commandment is to love the Lord God with all our heart, soul, mind and strength. Our love for God needs to flow from deep within. This love is more than a flippant statement of love, but something that resonates inside our being. Jesus makes it clear that our entire being, physical and spiritual, is to be dedicated to loving God. All the thoughts and ideas that float around within our heads need to be directed to loving God. 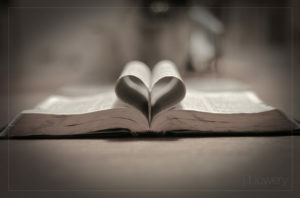 Jesus tells us here that to love God we need to commit not just ourselves but all of our money and possessions to God. What sounds initially like a fairly straightforward commandment is actually incredibly challenging. Indeed, there is no way that we, as fallen humans, are capable of living up to the standards that God has set us. But with the help of the Holy Spirit we can strive to do our very best to live lives that honour God and make clear to all of those around us that we have a deep love for the God who made us, who knows us, and who offers us salvation through Jesus Christ. Let’s commit ourselves to striving to love God in all that we do today, and in the days, weeks and months to come.